My building photography is an expanding part of my business. It’s enjoyable employing photographic techniques to obtain great images of interiors and exteriors alike. So far I’ve worked for architects, kitchen and home interior design companies, home owners, holiday letting owners and holiday parks, and I’m glad to say that the amount of work I’m asked to do in this area is increasing. 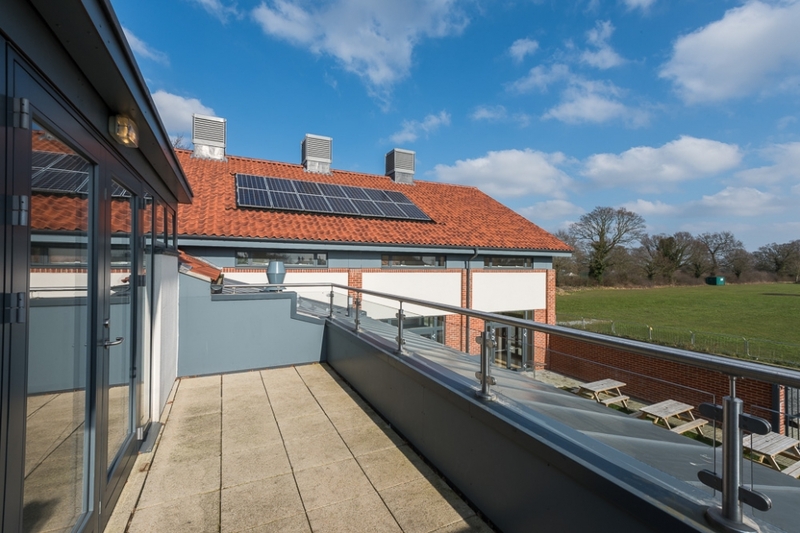 This recent assignment was a simple one for a newly built Norfolk village hall. 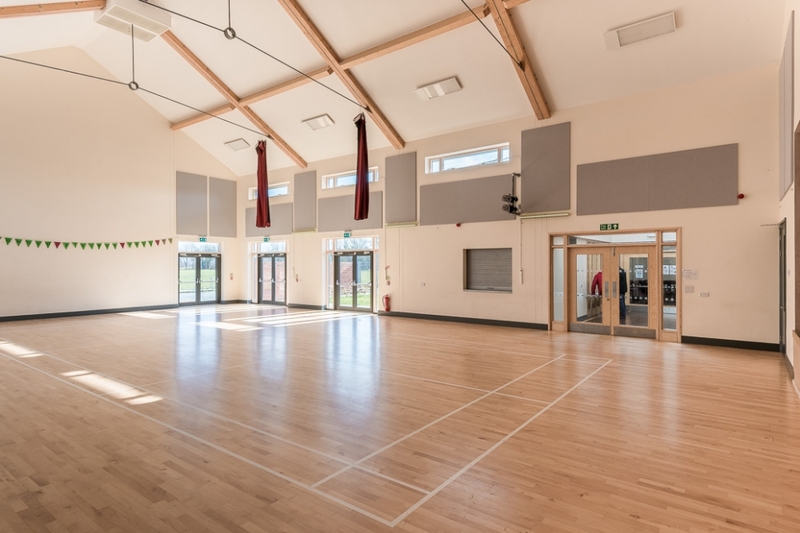 The hall hires rooms for various activities from Church groups to Pilates groups, from Sports groups to local theatre groups, but required some images of the spaces they rent for their website and social media posts. 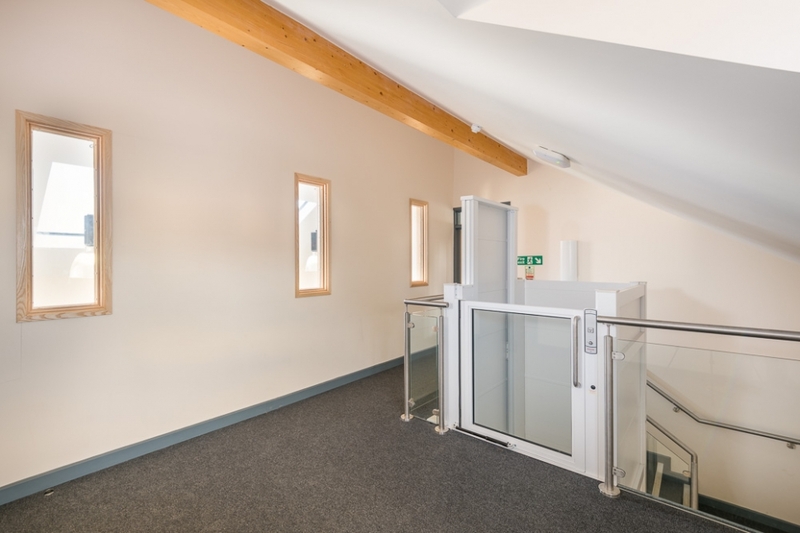 The hall hires out a large and bright sports and function hall, in addition to a smaller 1st floor room accessible by both a lift and stairs that also features a great outdoor balcony area. When producing interior photographs like these it’s essential to show the space available to the user and to do so I utilised a wide angle camera lens, set in position to avoid as much lens related distortion or camera shake as possible by using a tripod. Bracketing techniques were then employed in addition to using what photographer’s call ‘off-camera flash’ to add a little extra detail in what would normally be areas of shadow or highlights. The whole was then brought together using Photoshop techniques to provide images that resist looking unrealistic, but which aren’t easily achieved without employing techniques and taking extra care and effort.